Veneers are thin shells applied to the front of your teeth to change their color, shape, size, or length. Also known as laminates, these thin shells are customized to fit your smile and manufactured from either porcelain or resin composite materials. 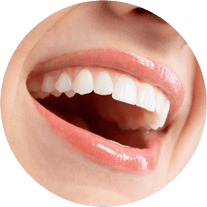 Veneers can be used to cover up stained, worn down, or broken teeth, as well as to correct slightly crooked teeth or teeth with gaps between them. Porcelain veneers are especially stain-resistant and will not stain as easily when exposed to typical staining agents such as coffee, wine, and soda. You may be a candidate for veneers if you wish to enhance your smile by correcting issues such as discolored, misaligned, or misshapen teeth. You may also be a candidate for veneers if you are looking for a permanent smile enhancement since veneers cannot be reversed once placed. To determine if you are a candidate for veneers, schedule a consultation with Fedorciw, Massoumi, & Kolbig today! To apply veneers, your teeth must first be prepared by removing about a millimeter off their surface. This is necessary so that the veneer shells maintain a natural appearance when placed on the surface of your teeth. Once your teeth have been prepared, a light-sensitive resin is used to bond the veneer shell to your tooth enamel with a special curing light. There is also a no-prep veneer option which does not require the removal of tooth enamel and has a quicker application process. However, this option does not work for everyone, and you will want to consult with our dentists beforehand to determine if this is the best veneer option for you. The veneer application process will vary depending on your individual treatment plan. 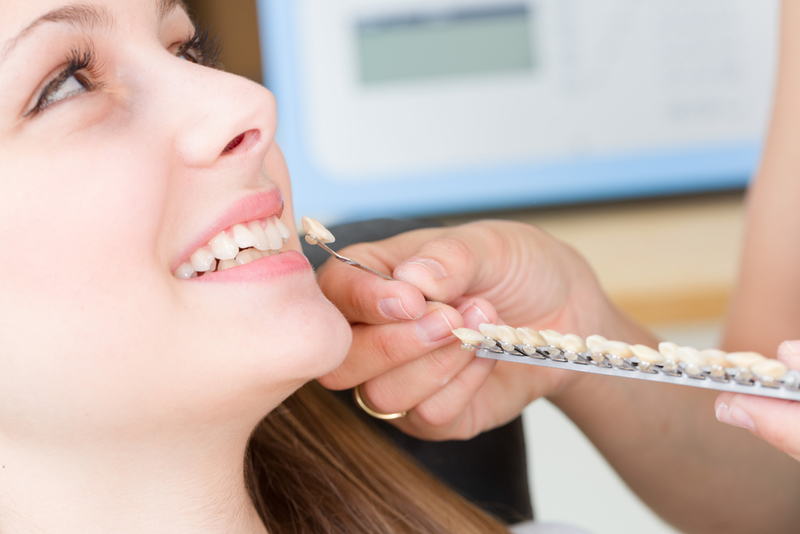 Generally, however, veneers are placed with two dental visits. 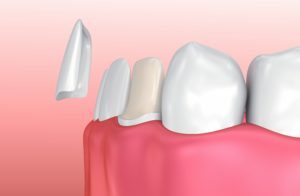 During the first dental visit, the enamel will be removed and impressions will be taken of the teeth. These impressions are sent to the lab where the veneer shells are manufactured and sent back to our office within 1-2 weeks. During the second dental visit, the veneer shells will be adhered to the teeth. Will veneers match my existing teeth? To give your veneers a natural look, our dentists will match them with your existing teeth using a color chart before applying them. Since most patients desire a whiter smile, your teeth will usually undergo a whitening procedure before being color matched for veneers. That way your smile and your veneers will be whiter and brighter. 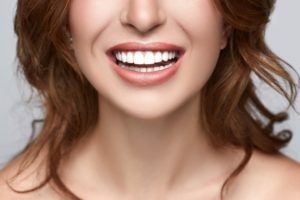 Will veneers hurt my teeth? Veneers do not hurt your teeth, however they will permanently alter their shape since the enamel removed during their application cannot be replaced. While the small amount of enamel removed may cause a brief period of tooth sensitivity until your teeth adjust, it should cause no permanent damage. Does the risk for cavities or tooth decay go up with veneers? Veneers function in an identical way to natural teeth, so the chance of you developing cavities or tooth decay is no more or no less than it would be with natural teeth. To decrease this risk, be sure to take care of your veneers like you would your natural teeth. This means brushing twice a day, flossing once a day, and visiting our office for regular checkups. Veneers unfortunately do not last forever, however if properly cared for they can last for up to 20 years. The lifespan of your veneers is based upon your dental habits and type of veneer. Porcelain veneers last longer than composite veneers and have an average lifespan of 10-15 years as opposed to 5-7 years. Taking care of veneers is very similar to taking care of your natural teeth. Like natural teeth, veneers are strong, yet must be protected from destructive behaviors like chewing on ice or other hard substances, biting your fingernails, or opening packages with your teeth. You will also want to maintain your veneers by practicing good oral habits such as brushing twice a day, flossing once a day, and visiting our office twice a year for dental checkups. During your dental checkups and professional teeth cleaning, our dentists will polish your veneers with a special paste to maintain their color. Veneers can cost anywhere from $250-$2,500 per tooth, however the total cost depends on how many teeth are being treated and the type of material being used. Porcelain veneers are more expensive than composite veneers and generally cost $925-$2,500, while composite veneers cost about $925-$1,500 per tooth. Some dental insurance companies will provide partial coverage for veneers, however it depends on the company. Another way you can manage the cost of veneers is to only apply veneers to certain teeth instead of applying them to all your teeth. Depending on your case and treatment goals, applying veneers to a few teeth may be enough to give you the results you desire without a significant cost. If you would like to experience the difference cosmetic dentistry can make for your smile, call our office today and schedule a consultation! Fedorciw, Massoumi & Kolbig are happy to serve patients in Cromwell, Middletown, Rocky Hill and other surrounding areas in Middlesex County (including Berlin).